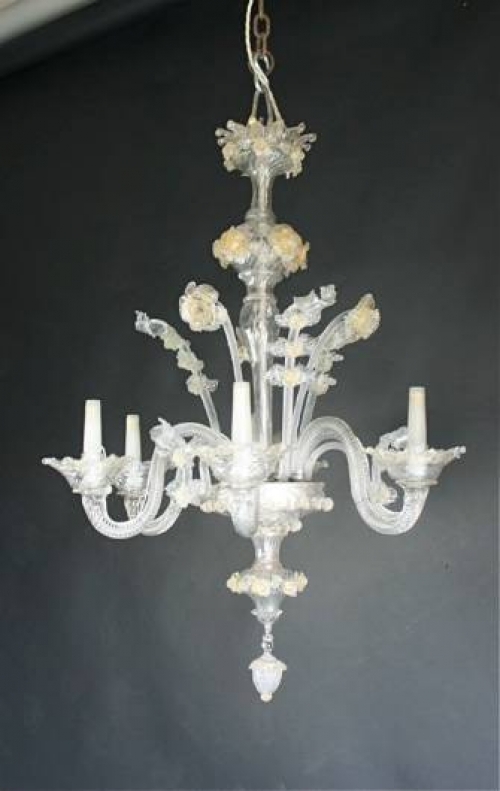 Murano chandeliers are always so light and delicate. 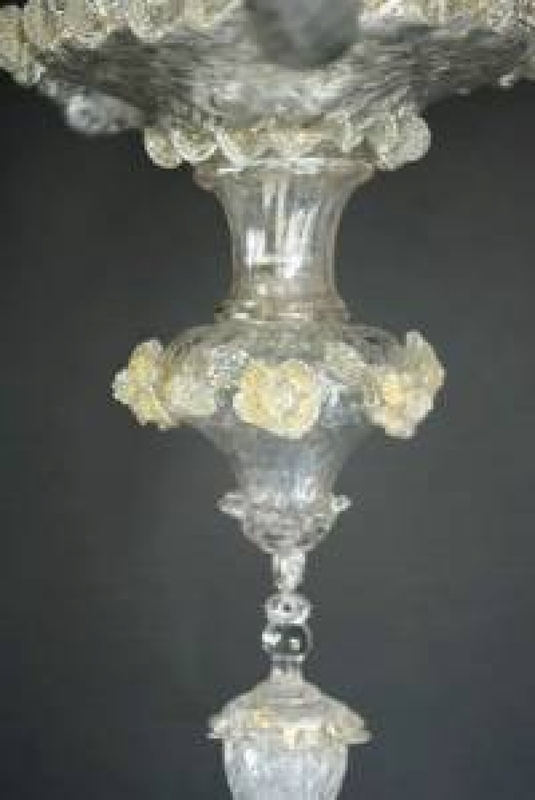 This Antique Chandelier in particular has very crisp decoration, tools stretch the glass making flutes and flowers and parrallel lines on the glass sometimes. The age of the internal receiver bowls as well is an indicator, these were often made of wood and where the flowers and arms fit the holes would have been numbered rudimentarily. Muranos look great when they are in settings which are clean and crisp and do not in my opinion sit well with traditional brown furniture. 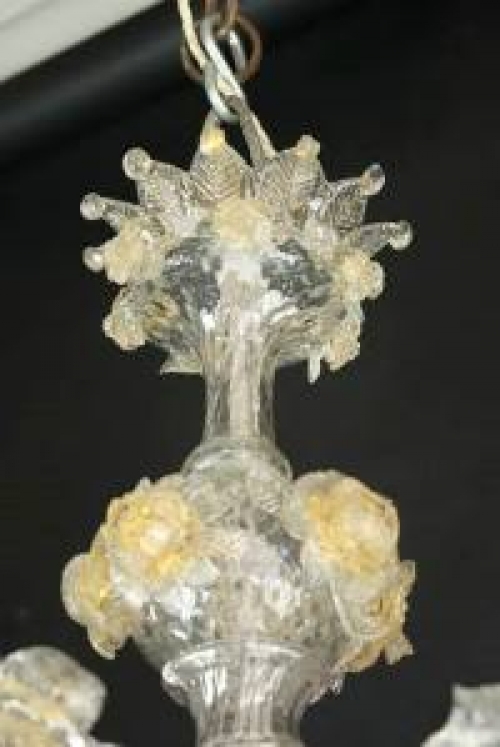 Clear glass with gold flecks is a useful combination because it will go with all kinds of decorating schemes.